10 Karaköy Istanbul, A Morgans Original, showcases the fascinating charm of the past as it embraces modern, sophisticated style. 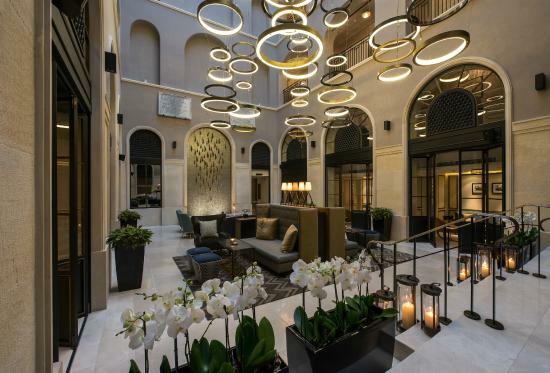 Located in one of the most vibrant and burgeoning districts in the heart of Istanbul, this luxury boutique hotel redefines chic elegance with its distinct design and unequaled service excellence. The hotel is a historic property built in neo-classical style, but reimagined and designed in collaboration with award-winning architect Sinan Kafadar to bring a fresh, stylish vibe to the dynamic energy of Karaköy. 10 Karaköy offers 71 unique guestrooms, including spacious Loft & Loft Terrace Suites. A Penthouse on the top floor with a magnificent private terrace is a perfect location for special events, dining and entertaining.